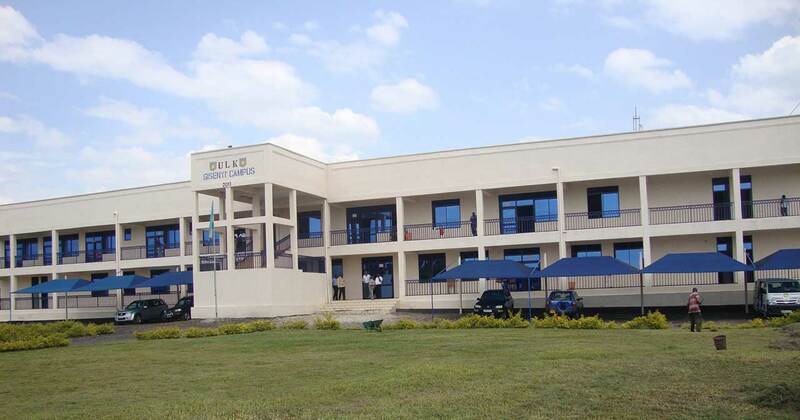 ULK is endowed with enough and adequate infrastructure and equipment. 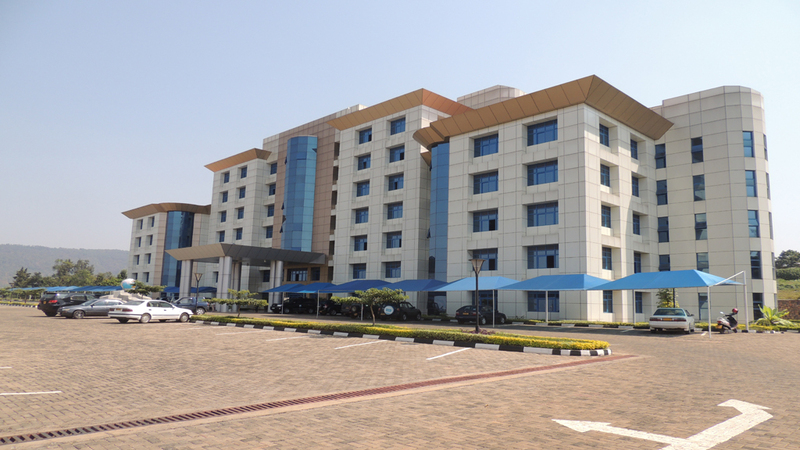 From January 2007 all the ULK faculties and administration operate in the new Campus premises at Gisozi. A large stadium with almost 14,000 places holding capacity. For the academic year 2014-2015, ULK acquired 8,520 new books. Total books in the physical library counts 104,128 titles and a digital library with 500 computers which has access to different publishers of e-books and e-journals, with a total of 1,326 computers for all the ULK computer laboratories, as well as 3 generators, including four of 200 KVA; 16 vehicles; etc. ULK owns a very spacious plot measuring +-26 ha in Gisozi Sector, It possesses two other plots, one of +- 6 ha, the other of +-1 ha in Kacyiru sector, all of them located in Gasabo District, Kigali city. –Economics and Business Studies buildingThe construction of three big buildings for lectures and laboratories end-purpose started in July 2005 and has been completed (Classrooms are equipped with chairs holding writing cases, shelves, a projector as well as a sound system). The construction of a 7 story central building (housing the Central Administration; Physical and Digital Libraries as well as Master’s Degrees Auditoriums) is also completed. The total investment cost is estimated at RWF 22 708 910 290 (twenty two billion seven hundred and eight million nine hundred and ten thousand two hundred ninety). ULK has got four big cafeterias equipped with refrigerators, tables, chairs, etc. Three cafeterias serve students and the fourth one serves lecturers and administrative staff members. 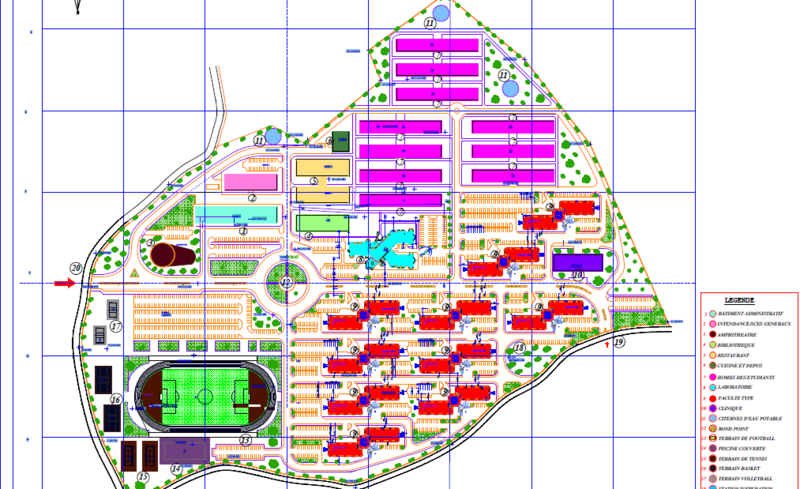 Water is supplied to ULK by EWSA, in addition, two big water tanks with respectively 200 M3 and 1000 M3 have been built. ULK has got two well equipped stationery shops. Beside the sale of various appropriate articles, both shops offer the service of photocopying and telephony to students. ULK has got several photocopiers for the students and administration services among which three of semi-industrial performance. Administration and academic tasks photocopying needs: examinations questionnaires; students courses; various reports, etc. are done without any problem. All cafeterias rooms are equipped with large flat screens television sets. Various mass-usage areas are also equipped with one or two large screens television sets for the comfort of viewers. ULK has 18 vehicles : 3 pick-ups for constructions, 2 big buses, 2 dumper-trucks, 6 minibuses for personnel transportation, one car, one Land cruiser for service moves and dispatching needs. 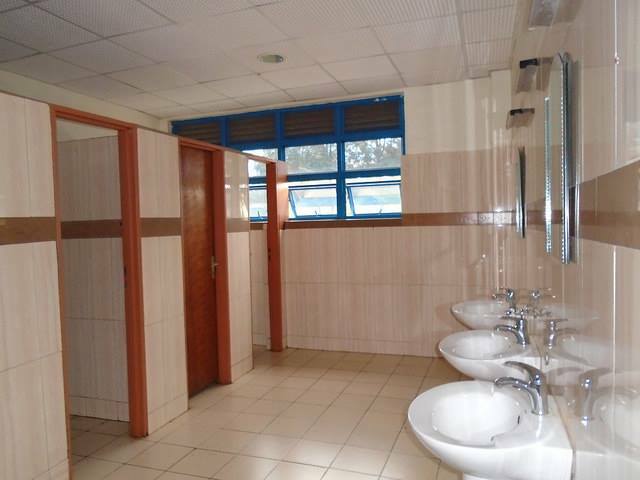 Each of the four buildings has got several comfortable toilets and urinals at all levels.